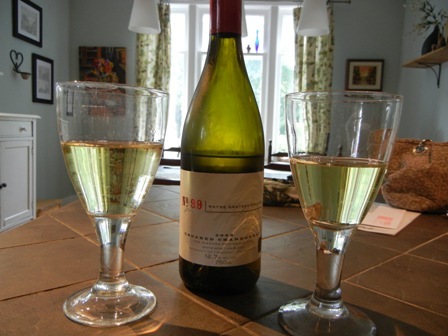 Traveling through Canada, my wine of the week is the ‘2008 No. 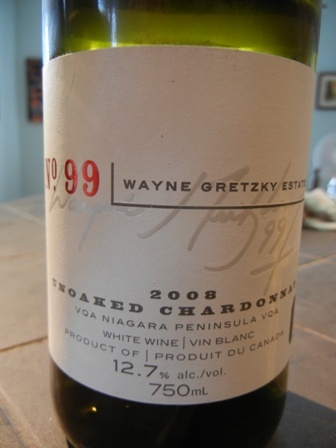 99 Wayne Gretzky Chardonnay’ which we drank the other night at my friend Dominik’s house in Stratford, Ontario. It is well known that not only dentists and medical doctors get lured into the wine business but also sport stars. Wayne Gretzky the famous Canadian ice hockey player being one of them. 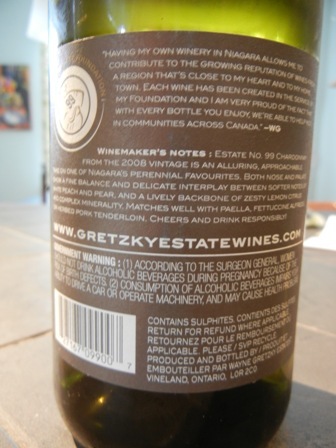 His winery, the Wayne Gretzky Estate, which opened in 2007, is located on the Niagara Peninsula, Ontario. This unoaked Chardonnay is a very pleasant wine. We had it with a pizza. The wine has all the good characteristics of a good ‘Chardy’. It won some awards (silver and bronze) as well. I liked the peach notes and the fine balance of acids. It is also a very affordable wine (12.95 Canadian $). 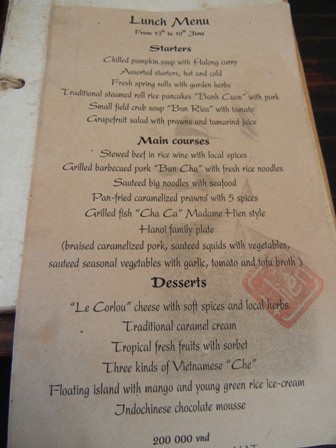 We had great pleasure sampling it. This entry was posted on Saturday, July 30th, 2011 at 8:01 pm and is filed under vineyards, wine, wine regions, wineries. You can follow any responses to this entry through the RSS 2.0 feed. You can leave a response, or trackback from your own site. ice hockey is a great game, i really watch all the hockey games on the cable TV..